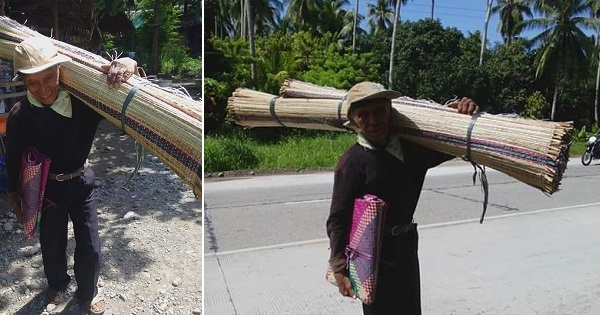 Carrying a heavy load of native sleeping mats he sells from house to house, an 83-year-old grandpa has gone viral on Facebook after a social media user had snapped some photos in hopes that some people could help him in some way. 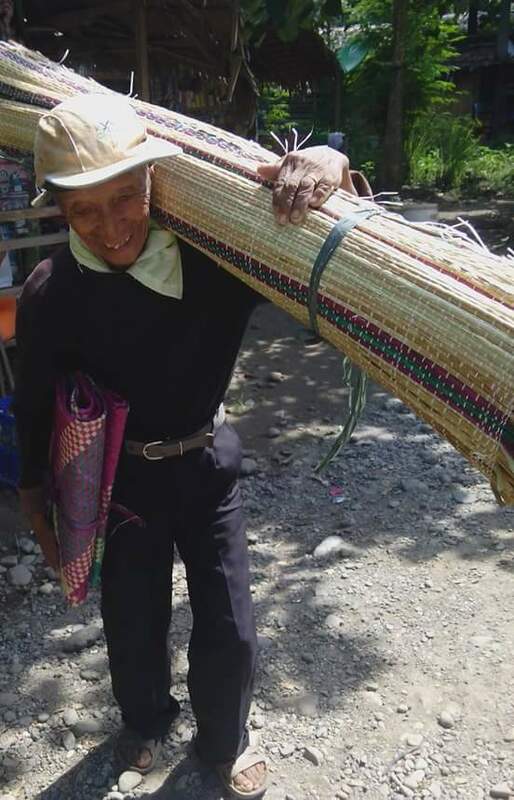 In a post on Tambayan ni Berto Worldwide, it was revealed that this old man walks from Mati to Lupon in Davao Oriental, peddling his native sleeping mats. Considering that the distance between these two places is 24 kilometers and the old still has to walk back home after he sells the goods, he’s easily walking a distance of some 50 kilometers a day, more or less! 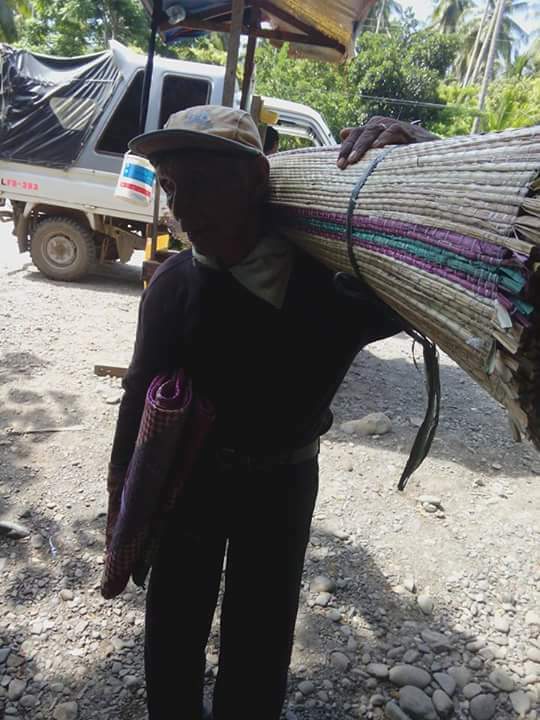 While the load he’s carrying looks quite heavy, at least it gets lighter as the day progresses; although he probably doesn’t sell everything on a daily basis. Still, the exercise probably did his body good because considering that he’s 83 years old, he must certainly be too old to be carrying heavy burdens and walking that far – yet he manages to do it, anyway. I bet many of us wouldn’t be able to walk 50 kilometers a day!